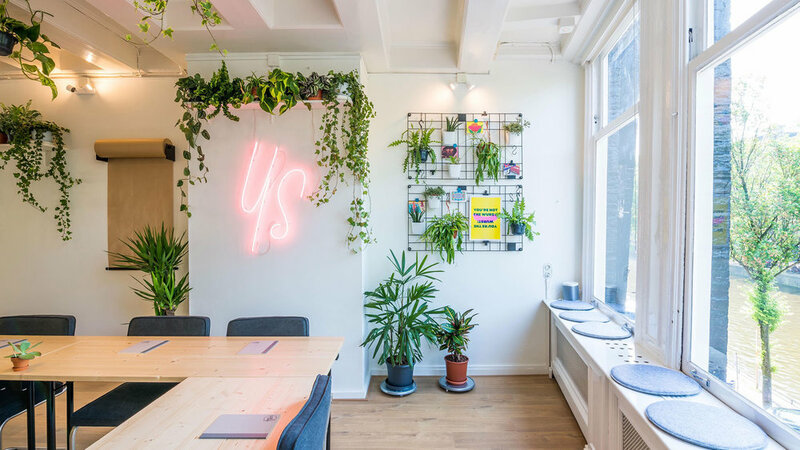 Your Space, Amsterdam has been created to offer comfortable, fun and inspiring space that can transform to meet the eclectic needs of corporations and individuals alike. 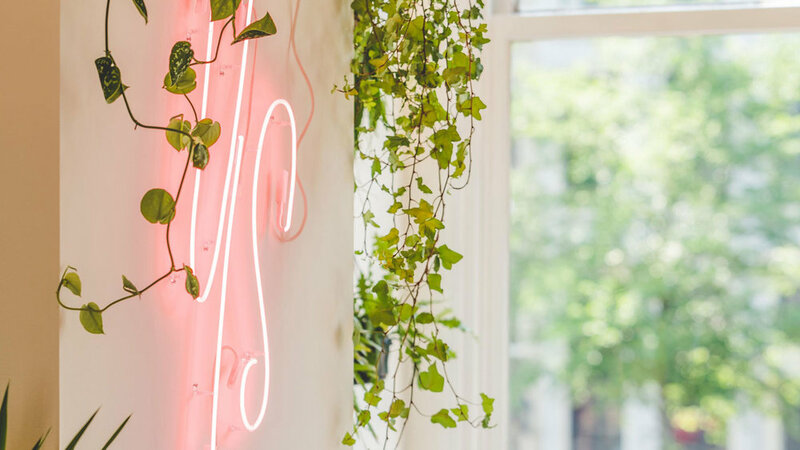 A board meeting, a training, a design sprint or a creative workshop; whatever they need! A key piece in the brief was "Comfort". To us, that meant approachable and personable. As if the space was another member of the team. This lead us to approaching the script typography to portray the energy and life that comes from a person. We took the same approach when designing the collateral and the colour scheme for the space. 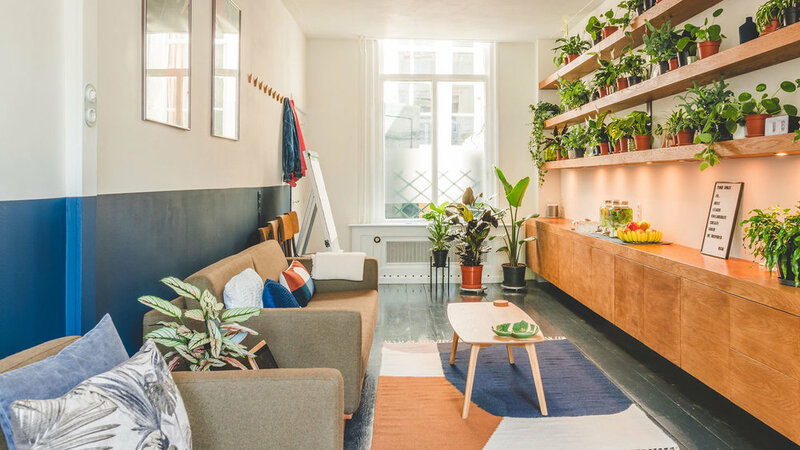 The space is to be kitted out in a range of plantlife to inspire and give a strong sense of grounding and liveliness to the space. This is why a leaf has been watermarked into the posters.